This policy also details how data about you is collected/used/disclosed when you visit our websites and services (together, 'NorthCarolinaBodybuilding.com') or otherwise interact with us. Please check back for any updates to material. We do not engage in affiliate marketing (and prohibit it on ). links to third party sites - please review their privacy policies. data you post on , or send us directly or via other sites. Please do not post private data. Please be mindful that this Local Services advertisement section is to help promote a user's business, product or services relating to FITNESS, HEALTH, NUTRITION & BODYBUILDING for $9.95 a month for each single advertisement. At this time, we accept payments through PayPal and Credit Card payments through PayPal only. No real estate, vehicles, cell phones, computers, adult content, etc. is allowed. LICENSE. If you are 18 or older, we grant you a limited, revocable, nonexclusive, non-assignable, non-sub-licensable license to access NORTHCAROLINABODYBUILDING.COM in compliance with the TOU; unlicensed access is unauthorized. You agree not to license, distribute, make derivative works, display, sell, or "frame" content from NORTHCAROLINABODYBUILDING.COM, excluding content you create and sharing with friends/family. You grant us a perpetual, irrevocable, unlimited, worldwide, fully paid/sub-licensable license to use, copy, perform, display, distribute, and make derivative works from content you post. USE. 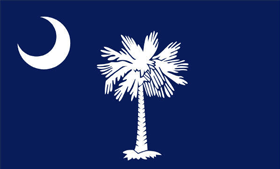 You agree not to use or provide software (except for general purpose web browsers and email clients, or software expressly licensed by us) or services that interact or interoperate with NORTHCAROLINABODYBUILDING.COM, e.g. for downloading, uploading, posting, flagging, emailing, search, or mobile use. Robots, spiders, scripts, scrapers, crawlers, etc. are prohibited, as are misleading, unsolicited, unlawful, and/or spam postings/email. You agree not to collect users' personal and/or contact information. MODERATION. You agree we may moderate NORTHCAROLINABODYBUILDING.COM access and use in our sole discretion, e.g. by blocking (e.g. IP addresses), filtering, deletion, delay, omission, verification, and/or access/account/license termination. You agree (1) not to bypass said moderation, (2) we are not liable for moderating, not moderating, or representations as to moderating, and (3) nothing we say or do waives our right to moderate, or not. All site rules, e.g. NorthCarolinaBodybuilding.com, are incorporated herein. SALES. You authorize us to charge your account for NORTHCAROLINABODYBUILDING.COM fees. Unless noted, fees are in US dollars. To the extent permitted by law, fees are nonrefundable, even for posts we remove. We may refuse purchases, which may place a hold on your account. To the extent permitted by law, (1) we make no promise as to NORTHCAROLINABODYBUILDING.COM, its completeness, accuracy, availability, timeliness, propriety, security or reliability; (2) your access and use are at your own risk, and NORTHCAROLINABODYBUILDING.COM is provided "AS IS" and "AS AVAILABLE"; (3) we are not liable for any harm resulting from (a) user content; (b) user conduct, e.g. illegal conduct; (c) your NORTHCAROLINABODYBUILDING.COM use; or (d) our representations; (4) WE AND OUR OFFICERS, DIRECTORS, EMPLOYEES ("NORTHCAROLINABODYBUILDING.COM ENTITIES"), DISCLAIM ALL WARRANTIES & CONDITIONS, EXPRESS OR IMPLIED, OF MERCHANTABILITY, FITNESS FOR PARTICULAR PURPOSE, OR NON-INFRINGEMENT; (5) NORTHCAROLINABODYBUILDING.COM ENTITIES ARE NOT LIABLE FOR ANY INDIRECT, INCIDENTAL, SPECIAL, CONSEQUENTIAL OR PUNITIVE DAMAGES, OR ANY LOSS (E.G. OF PROFIT, REVENUE, DATA, OR GOODWILL); (6) IN NO EVENT SHALL OUR TOTAL LIABILITY EXCEED $100 OR WHAT YOU PAID US IN THE PAST YEAR. CLAIMS. 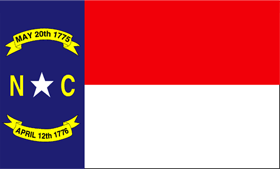 You agree (1) any claim, cause of action or dispute ("Claim") arising out of or related to the TOU or your NORTHCAROLINABODYBUILDING.COM use is governed by North Carolina law regardless of your location or any conflict or choice of law principle; (2) Claims must be resolved exclusively by state or federal court in Raleigh, NC (except we may seek injunctive remedy anywhere); (3) to submit to personal jurisdiction of said courts; (4) any Claim must be filed by 1 year after it arose or be forever barred; (5) not to bring or take part in a class action against NORTHCAROLINABODYBUILDING.COM Entities; (6) (except government agencies) to indemnify NORTHCAROLINABODYBUILDING.COM Entities for any damage, loss, and expense (e.g. legal fees) arising from claims related to your NORTHCAROLINABODYBUILDING.COM use; (7) you are liable for TOU breaches by affiliates (e.g. marketers) paid by you, directly or indirectly (e.g. through an affiliate network); and (8) to pay us for breaching or inducing others to breach the "USE" section, not as a penalty, but as a reasonable estimate of our damages (actual damages are often hard to calculate): $0.10 per server request, $1 per post, email, flag, or account created, $1 per item of personal information collected, and $1000 per software distribution, capped at $25,000 per day.